Cold smoking is done at temps below 90°F (32°C) and that’s almost impossible to do at home, so I leave that to the professionals. With a cooking plank, hot smoking is something anybody with a grill or smoker can do and the results are fabulous. This is great served warm with buttered noodles and grilled asparagus. 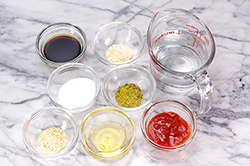 Place the fillets in a large heavy-duty zip-top bag. Pour the brine over them. Seal the bag, squeezing out as much air as possible. Place the bag in a pan or bowl in case of leakage and refrigerate it for 1 to 2 hours, occasionally moving the salmon around within the bag. Meanwhile, soak a cedar plank in water for 1 hour. Prepare an outdoor grill to cook direct over medium heat with light alder wood for flavor. Remove the cedar plank from the water. 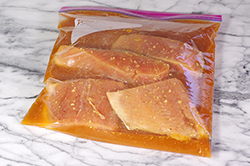 Remove the salmon from the brine and rinse it under water. Dry the salmon thoroughly. 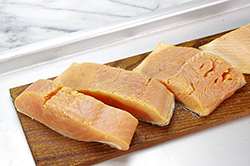 Place the salmon on the plank, spacing the fillets evenly. Place the plank directly on the grill and cook it for about 30 minutes, until it reaches an internal temperature of 135°F (60°C) and the white fat just begins to appear on the surface. Remove the plank to a baking sheet and let it rest for 5 minutes. 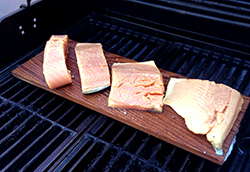 Serve the salmon directly from the plank using a small spatula. The trick to cooking great smoked salmon is brining. 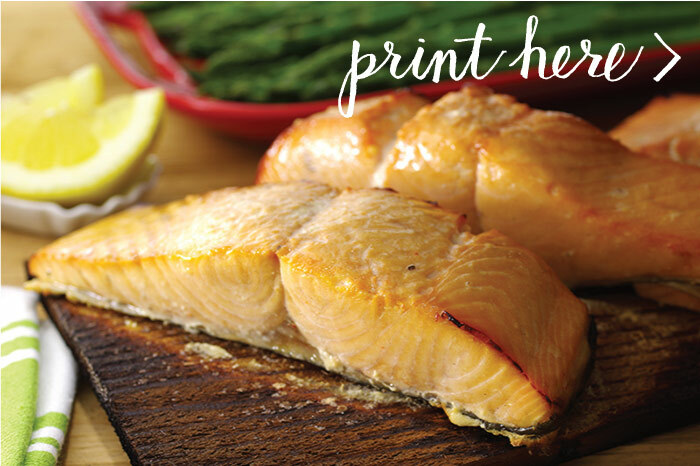 This recipe imparts rich flavor and give any type of salmon that firm texture that we all love. 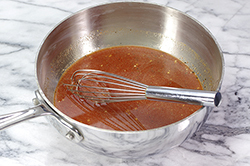 In a medium saucepan over medium heat, combine the 1cup (240 ml) water, salt, soy sauce, honey, sriracha, lemon pepper, granulated garlic, and granulated onion. Mix them well. Bring the mixture to a simmer, stirring often. Cook it for 1 to 2 minutes, until the salt and honey are dissolved. Add the ice water to a medium bowl. Pour the hot brine over the ice water. With a large spoon, mix well until everything is blended. Refrigerate the brine for at least 2 hours, until well chilled. Use it immediately or keep it refrigerated for up to 1 week. Reprinted with permission from Flavorize, Great Marinades, Injections, Brines, Rubs, and Glazes by Ray “Dr. BBQ” Lampe. Copyright 2015. Published by Chronicle Books, San Francisco, CA. All rights reserved.